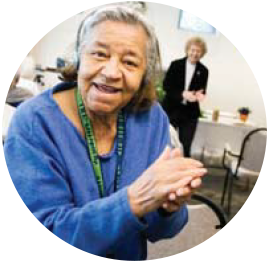 provides an all-inclusive program for people whose health issues interfere with their daily lives, but who are capable of living safely and independently. With six senior care centers, timely and organized maintenance is a must, but internal work orders were getting lost in the shuffle of busy facilities. As well, management had no way to track what was needed or completed, and no clear picture on costs associated with repairs. LIFE Pittsburg chose Landport because its Internet-driven work order system provided a complete start-to-finish tracking system at a reasonable price. With Landport, facilities personnel could get a clear picture on costs associated with a maintenance order, including the time involved. Landport’s track record with care facilities was excellent, and its ability to scale a system to LIFE Pittburgh's exact needs without inflating cost was key. After implementing Landport, facilities personnel has seen a big diff erence in the completion of job orders. They are performed in a timely manner, and costs to outside vendors is tracked. Landport has allowed LIFE Pittsburgh centers to streamline its facility operations, resulting in increased safety and costs at each center--which is vital for the important care they provide to the vibrant people they serve, enabling them to live full and well-supported lifestyles. We have seen a big difference [with Landport] in that job orders are now processed in a more timely manor, plus you can look how much time and money is allocated.